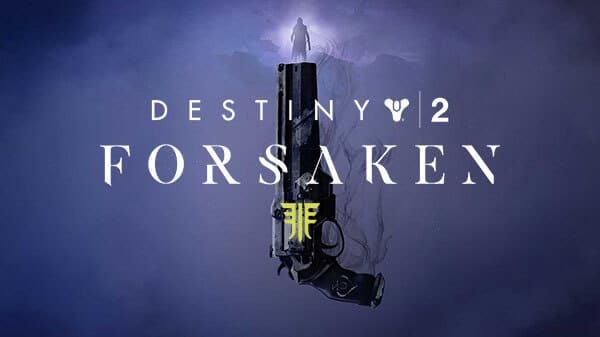 Home » Bungie Announced Destiny 2: Forsaken! Bungie finally revealed its next Destiny 2 expansion, Forsaken, today and, boy oh boy, are there LOTS of changes coming. While not exactly tight-lipped on the new location, Bungie was understandably vague when talking about the new raid. One comment of note from Bungie highlighted that this raid will have more bosses than any previous raid in Destiny. What they have said for certain is that the location in which the raid takes place is also intended to be the location for much of the endgame content. Gambit is a wonderfully strange mashup of PvP and PvE (Player vs Player and Player vs Environment respectively). Two teams of four fight in separate “Prison of Elders” style arenas, collecting ‘motes’ to power up a central terminal. The goal is to be the first to defeat all enemies and bosses. Most interestingly, it appears that opposing teams will be able to cross over into each other’s arena and cause mayhem. Sweet. Destiny reveal a new “Annual Pass” offering as a new way to deliver content. Presumably for a fee, Annual Pass owners will get access to the three expansions planned after “Forsaken” is released this fall. The Forsaken Expansion will cost $39.99 and the Annual Pass will cost $34.99. FINALLY Bungie is bringing back progress & achievement logs and, for the first time, is providing a kiosk for previously collected weapons and armor sets. Bungie stopped short of further details offering coly that the abundance of questions relative to answers inspired by this reveal was “by design”. Bungie. promised a full story reveal during next week’s E3. We will be on the scene and will report back on everything we find!